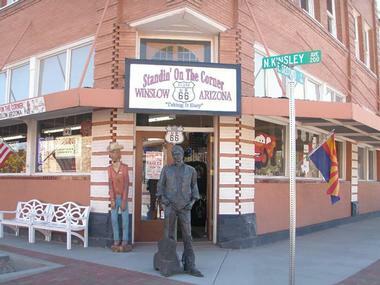 The town of Winslow, Arizona has long been a major stop along America’s Route 66. It was first a popular spot for railroad travelers, and is now popular with motorcyclists and motorists. Winslow has also become known to numerous music listeners throughout the world thanks to the famous Eagles song “Take It Easy.” In addition to being an iconic Route 66 stop, the town and surrounding area is also steeped in Native American history and boasts many historic and natural attractions that draw visitors from all around. 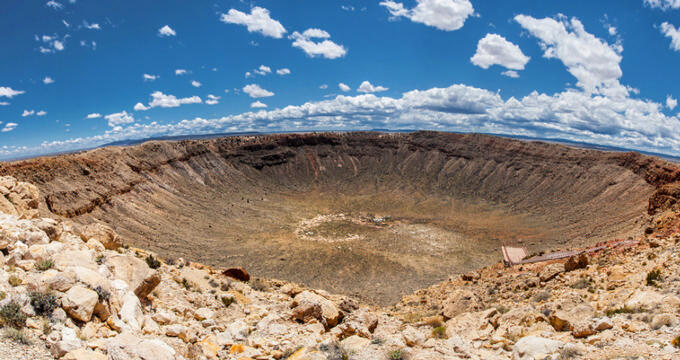 Meteor Crater near Winslow, Arizona is the best preserved impact site of a meteorite in the world. Found only minutes away from the old Route 66 and Interstate 40 in northern Arizona, the site is a fascinating result of the collision between Earth and an asteroid traveling approximately twenty-six thousand miles per house around fifty thousand years ago. 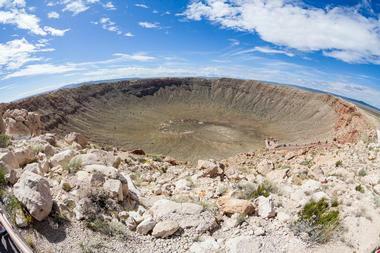 The crater is almost one mile in diameter and over 550 feet deep. The Visitor Center is situated on the rim of the crater, along with an Interactive Discovery Center. There are outdoor observation trails, a movie theater, indoor viewing as well. The Homolovi State Park contains several different sites of ruins that feature traditional pit houses, petroglyphs, and broken pottery throughout the sites. There are also kivas, or underground ceremonial chambers. The area was settled during the fourteenth century by the Hisat’sinom people. The sandy banks and lush flood plains continue to be a cultural hub of the Hopi community. At the park are a campsite open year-round, a museum, a visitor center, and several trails. Visitors can explore two of the ruin sites, with sidewalks for easy access and interpretive signs for information. Birds and other wildlife can also be seen. 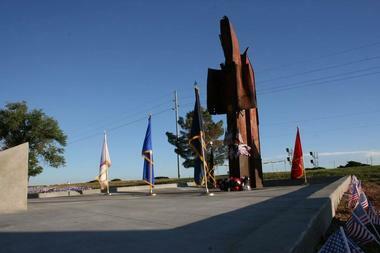 The 9/11 Remembrance Garden is located on the outskirts of eastern Winslow, Arizona. It is one of the memorials created in remembrance of the terrorist attacks committed on September 11, 2001 by communities far from the destruction. The replica of the Twin Towers on display in the garden are made from debris from the actual Twin Towers.Two steel, rusted girders from the towers, one fifteen feet tall and the other fourteen feet tall rise up from the concrete base. A plaque accompanies the two steel towers at the 9/11 Remembrance Garden, showing the country is standing united. The town of Winslow, Arizona may bring a familiar song lyric to mind: “standin’ on a corner in Winslow, Arizona.” These words from “Take It Easy” were written by Glenn Frey and Jackson Browner, and were then made famous by a well-known band called The Eagles. It’s a song known by people all over the world, and it helped put the town of Winslow on the map. Visitors can now stand in the historic downtown on the corner of Winslow, Arizona at the Standin’ on the Corner Park and take a souvenir photo. There is artwork found at the corner. The Rock Art Canyon Ranch is a private cattle ranch and a gem of the Old West. There is more to the ranch, however, than bison and cattle. 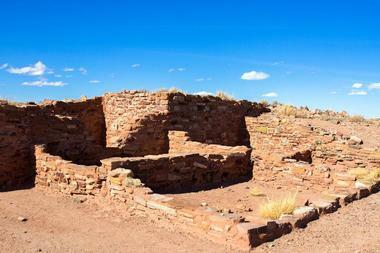 There are excavated Anasazi dwellings, well-preserved petroglyphs created by Native Americans, and a Navajo hogan. 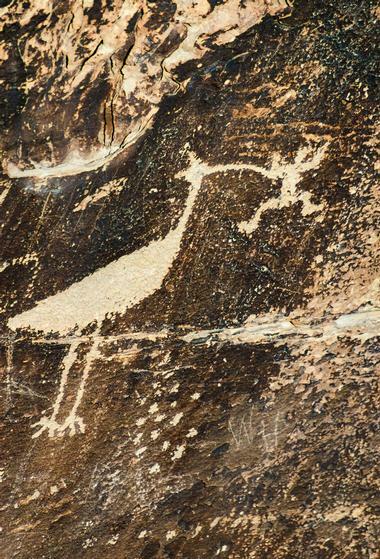 With more than 3,000 petroglyphs found on the property, Rock Art Canyon Ranch is still thought of as a sacred site. Most of these date back to between 5000 BC up to 1400 AD. 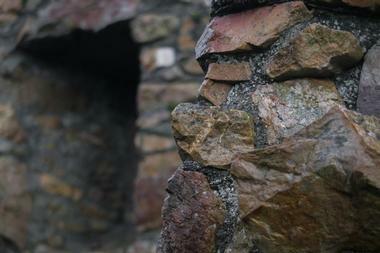 Visitors can easily spot images of unknown symbols, people, and animals throughout the property. The owner, Brantley Baird, allows guests to come explore the property. La Posada boasts some unique gift shops where visitors can find one-of-a-kind items and items made specifically in the region. The Trading Post and Book store offers a wide selection of book and handpicked regional gifts for people of all interests and ages. 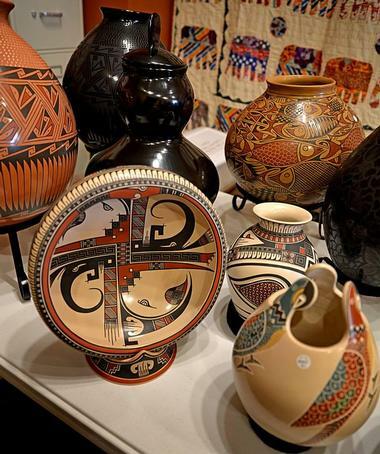 Customers can find Zapotec Pottery, nichos mirrors, rugs, and other collectibles from Mexico and the Four Corners. There are also hand-woven Navajo rugs, old Route 66 items, jewelry made by local renowned Native American artists. Various crafts can be found made by various Native American tribes of the Southwest, such as Kachina dolls that are hand-carved. As a center for westward expansion and the home of several tribes of Native Americans, the state of Arizona is a center for many different cultures. The history of these various cultures is on display at Winslow’s Old Trails Museum. 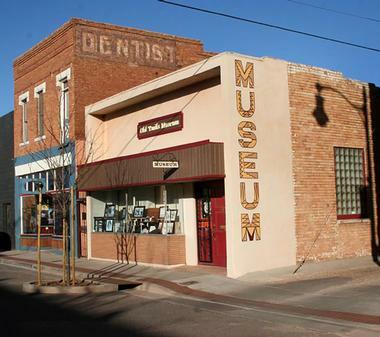 The history museum features several exhibits, including ones focused on Columbian mammoths and the pre-history meteor crater, early residents trails, and railways that shaped the town, as well as information and artifacts of the Hopi, Navajo, and Laguna tribes. The collection at the Old Trails Museum consists of textiles, photographs, documents, and objects, along with oral histories from residents of Winslow. The Apache Death Cave near Winslow still exists beneath the ghost town of 2 Guns with black, faded scorches still found on the walls of the underground cavern. Adventurous tourist who choose to stop and explore the area can easily reach the supposedly haunted cave, but many locals often warn against it. Angry spirits of the Apache who suffocated to death in the cave in 1878 are said the be heard moaning as visitors approach it. These Apache raided a Navajo encampment, killing nearly everyone and kidnapping three girls. The Navajo retaliated and hunted down the band and got revenge. The Turquoise Room Restaurant is housed inside of the La Posada Hotel in Winslow. 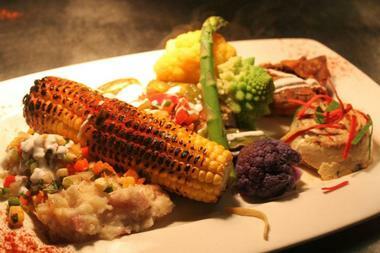 It is a unique restaurant in the southwestern region of the United States, offering a mesmerizing interpretation of the food of Arizona. Visitors can stop and have a delicious meal at a great road restaurant and take some time to explore the renovated Fred Harvey hotel. The Turquoise Room first began as a private dining car designed by Mary Jane Colter back in the year 1935. The first run of the dining car, part of the Super Chief, was on May 12 of 1936. 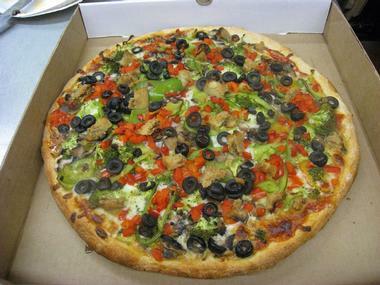 Captain Tony's Pizza and Pasta Emporium has been serving New York pizza for more than forty-five years. The restaurant first began in 1972 as a restaurant opened by Antonio Martella in New York. His entire family helped with the restaurant, including Michael, Antonio’s young son. Customers today can enjoy delicious pizza, wings, subs, and pasta. After growing up, traveling, and trying pizza in other states, Michael couldn’t find any pizza as good as the pizza his father served. The family then decided to grow their restaurant into a franchise business in 1985, including opening a location in Winslow.